How Long Do You Go to College to Be a CPS Social Worker? Is MSW the Same as MA in Sociology? 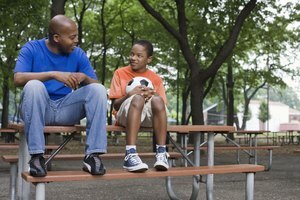 What Is the Highest Social Work Degree? What Is the Difference Between a Masters and a Bachelors in Social Work? A Bachelor of Social Work degree trains workers to interact directly with the public. Although workers with both a master’s and bachelor’s degree in social work help individuals or families work through troubled times, those with a master’s degree have more extensive training and experience and can become licensed to treat conditions in a clinical setting. A bachelor’s degree can be a good stepping-stone for future graduate-level education or for entry-level social work, but a master’s in social work opens up a variety of employment options, including private practice. Undergraduate social work students gain a broad overview of the field through in-class and field experiences. Some programs require prerequisite college work at a minimum grade point average before they admit students to a social work program, according to the University of Wisconsin-Madison. 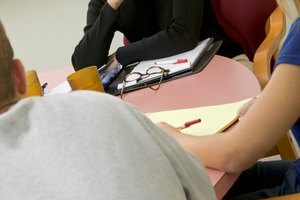 Courses cover social welfare, an analysis of human behavior and psychology, and an introduction to research techniques. Before someone with a bachelor’s degree in social work becomes licensed to practice, the candidate must pass a basic state licensing test required for social workers with a Bachelor of Social Work but no post-degree work experience, the Association of Social Work Boards reports. An internship is also required, as reported by the University of Wisconsin-Madison. Graduates with a Bachelor of Social Work might benefit from entering the workforce sooner than those who pursue a master’s degree. Although their pay rate is likely less than a social worker with a master’s degree, they might have less student loan debt to pay off. A B.S.W. 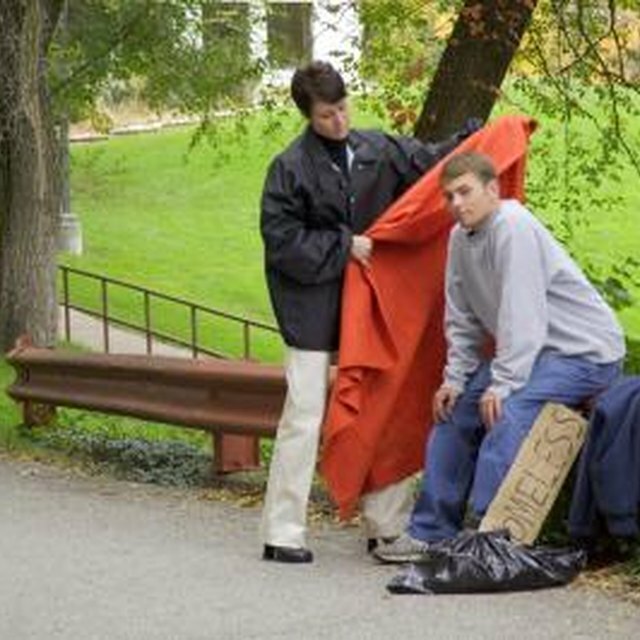 is a good option for those interested in working directly with the public, as many work in group homes, counseling centers, in government agencies or as social workers. Graduates often serve as patient advocates and communicate with a diverse group of individuals, families, groups or organizations, according to the University of Wisconsin-Madison. In addition to those with a B.S.W., master's level students might earn their bachelor’s degree in other areas, including psychology, social anthropology or sociology, according to iSeek, a career resource for the state of Minnesota. However, some programs have specific admission requirements, such as 60 credits in the liberal arts and nine credits in the social sciences, as Columbia University's School of Social Work requires. Courses include social welfare policy, poverty, child abuse, domestic violence, ethical and legal responsibilities and clinical practice, “U.S. News & World Report” states. Many students focus on an area of interest during intensive field experiences totaling approximately 1,200 hours, Loyola University School of Social Work reports. Different state licensing exams levels are required for Master of Social Work graduates, depending on the level of experience. To be registered as a clinical social worker, an applicant must have an M.S.W. and at least two years of post-degree clinical experience, according to the Association of Social Work Boards. In addition to being more qualified to work in the industry because of their more extensive experience and education, those with an M.S.W. generally earn higher wages, the National Association of Social Workers reports. They are often able to work in a specific field of interest, including foster care, in schools or hospitals. 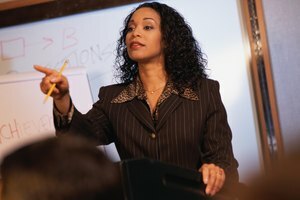 A master’s degree also certifies social workers to supervise, research or teach. Some might go on to pursue a doctorate. An M.S.W. also allows a worker to diagnose and treat conditions due to mental issues, behavioral problems or emotional disorders, according to the Bureau of Labor Statistics. Social workers earned a median annual salary of $47,460 in 2016, according to the U.S. Bureau of Labor Statistics. On the low end, social workers earned a 25th percentile salary of $36,790, meaning 75 percent earned more than this amount. The 75th percentile salary is $60,790, meaning 25 percent earn more. In 2016, 682,000 people were employed in the U.S. as social workers. Amy Pearson earned dual bachelor's degrees in management and horticulture. She is a licensed elementary teacher for kindergarten through sixth grades. Pearson specializes in flower and vegetable gardening, landscape design, education, early childhood and child development. What Is the Difference Between a Police Officer & a Sheriff? Pearson, Amy. "What Is the Difference Between a Masters and a Bachelors in Social Work?" Synonym, https://classroom.synonym.com/difference-between-masters-bachelors-social-work-18302.html. 26 September 2017.